Greetings all - I too was at the Hampton Show in 1976 - I took some slides of the show - and am just now scanning them into JPG format - I was fairly far from the stage - but some came out OK. I was blown away by this show - the music, the spectacle - the three headed dinosaur/snake? The Pousette-Dart band was a very good band and opening act. I'm not sure what happened to them, but I'll look it up to satisfy my curiosity. 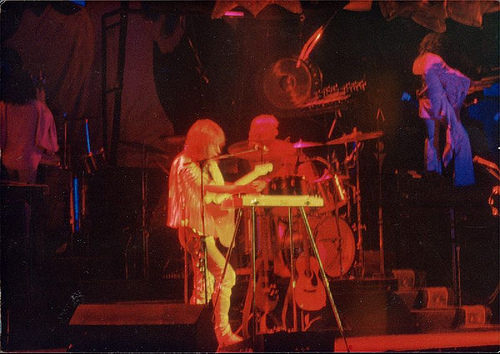 I suppose the reason it took so long for Yes to come out was the stage set-up, making it seem like there was something wrong and we wondered if they were going to cancel the show. Then when they finally came out I remember the space ship appearing and the first laser that shot to the back of the Colloseum causing some guy to scream loudly (as if he had been shot) and breaking the awe-struck audience's silence. Nobody had ever seen anything like it and the rest of the night seemed magical as well. I don't remember the playlist so well as it seemed forever ago but I did hear the favorites. It was my then new wife's first "rock concert" and her last for some reason (perhaps the volume and rowdy crowd). Just as well, as I don't think any of the numerous other concerts I've seen ever topped it. To me, no band ever sounded as well live as in the studio -- except Yes. I remember this so vividly. It left a lasting impression on me of how much this band loves their fans. Jon walked up to the mic and starting speaking something not completely audible to the entire Coliseum. He then made an inviting motion with his hands. The next thing I saw was everybody rushing the stage, virtually eliminating the reserved seats floor section. Then the drum beats thundered out the first notes of Sweet Dreams. It was awesome. It was the most memorable part of a very tremendous show for me. I'll never forget it. 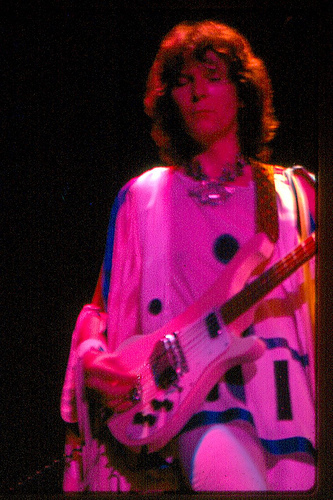 This was my first Yes show ever, I had discovered them so to speak (although had heard Your Move and Roundabout on the radio before) via the Relayer album.... i remember the large Rickenbacker bass guitar rug(?) that crossed Chris' side of the stage, and as a bass player myself, was really impressed with it, I wanted one too, and I wanted a Rick bass just like Chris (I wanted to BE Chris, I was about a month from my 18th birthday) my impression of Gates Of Delirium was that it was the most massive peice of music i had ever heard, so much larger than on the record (as almost all live performances were). 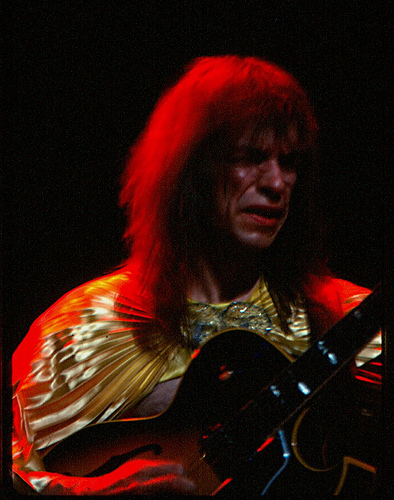 The boys most definitely played GOD in Hampton..... with the snake heads flashing, and the lasers shooting, and my heart pounding to a beat that I can't possibly count out, although as a Yes fan and musician (bass player, of course) I have tried to do so for years. as I recall, they played Soundchaser, some of the solo stuff, and if i'm not mistaken, I'm Down was the final encore! I was happy to find that song live on the box set, and have wondered if it was that Hampton show, but I guess the odds are against it. 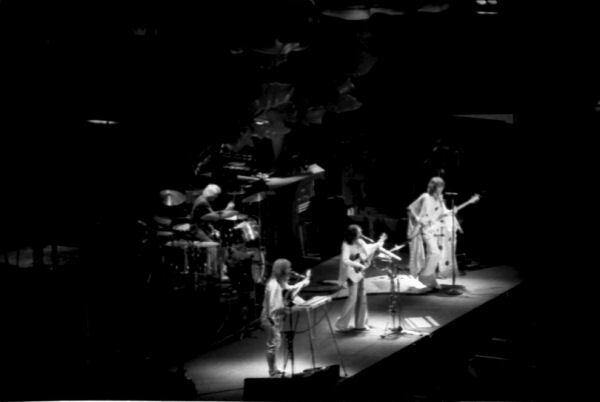 probably LA or somewhere, but for me, its close enough, I saw them play the song, so I pretend it was the Hampton show that was recorded. we should all hang on to our fantasies, eh? 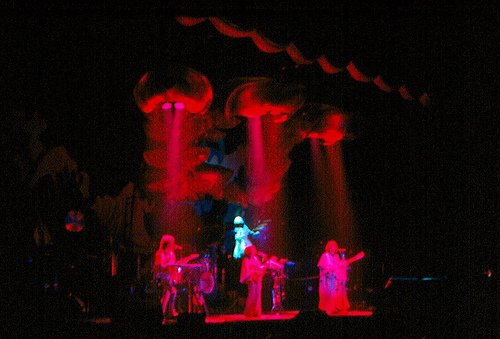 The band had the "Three Headed" Roger Dean set and did indeed "push" the solo albums. Squire's "Hold Out Your Hand" was really good but the other solo selections made me generally wish for more group performances. 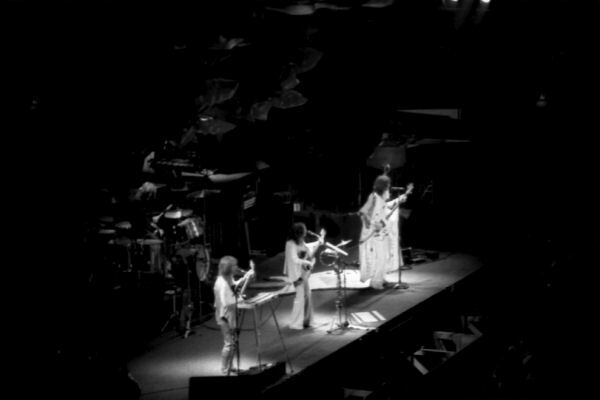 Another memorable aspect of this show was the fact that everyone in the band wore white clothing. The opening act for this show was the Pousette-Dart Band, a country-rock band who was pushing their first of four albums for Capitol Records. I do remember that the "solo" stuff didn't go down terrifically well and that the band seemed to sense this. The final group songs and encores were much more intensely performed.